Arsenal have completed the signing of Semi Ajayi on a free transfer after the young defender was released by Championship club Charlton at the end of last season. The 19-year-old had undertaken a trial with Norwich prior to his move to the Emirates Stadium but declined the offer of a six-month deal in order to pursue other potential moves. 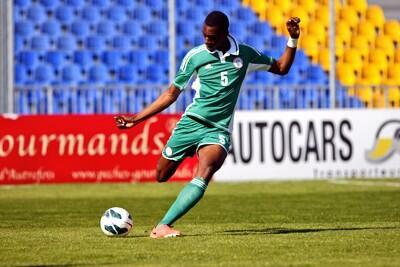 Arsenal tabled a two-year contract for the Nigerian, who confirmed on Twitter than he is to become a member of Arsene Wenger's squad after spending 10 years on the books at Charlton. "Delighted to announce that I have officially signed for Arsenal FC. Can't wait to see what the next two seasons here have in store for me," he said. "It was sad to end my ten year spell with Charlton this summer but I can't speak highly enough of all of the wonderful people I met during my ten years there & I wish all [them] the best for the future as I will always have a soft spot for the club & it's [sic] fans." Ajayi spent a spell on loan with non-league Dartford last season, where he made three appearances, and his move to Arsenal represents a rapid rise having never played in the league for Charlton. The player underwent a trial period with Arsenal last month before the club took the decision to offer him a permanent deal, and Ajayi becomes the second player to join from Charlton in the last two seasons. Carl Jenkinson, also a relative unknown at the time, signed for Arsenal in the summer transfer window of 2011, and has gone on to become a first-team regular for the north Londoners.